How Clever is the Clever Bed (It's magical). . . . . If you want to maximise space efficiency and provide a practical solution for family and guests we have the RIGHT solution for you! The Clever Bed is perfect for rooms that serve multiple purposes such as offices, apartments, guest bedrooms and even the humble kiwi bach. 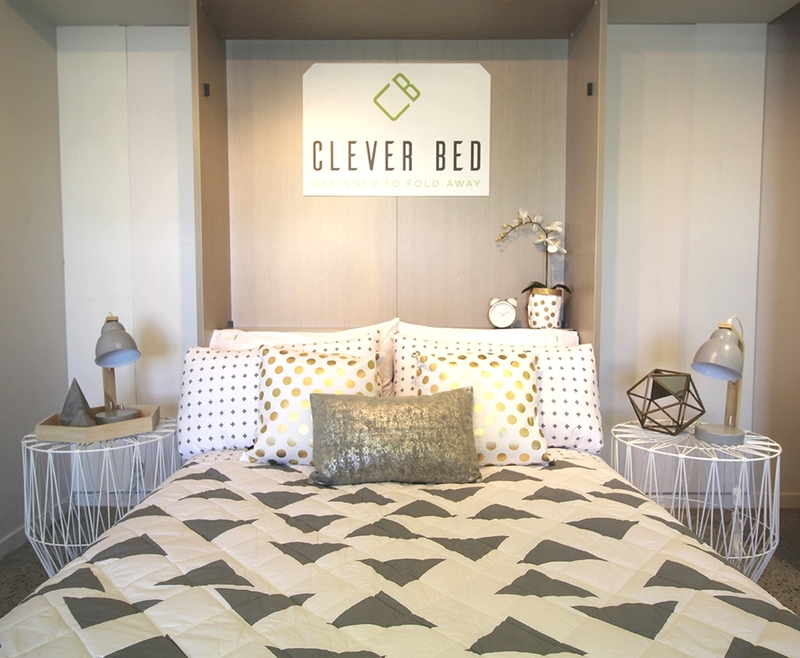 A quality New Zealand manufactured product, the Clever Bed utilises trusted Sleepyhead mattresses to provide a comfortable sleep, whilst maximising space. The Clever Bed is a very cost-effective and aesthetically pleasing solution ... the Clever Bed pricing includes a quality sleepyhead mattress and includes installation. Bed cabinet made in 18mm and 25mm Melteca in one of our 4 standard colours. Sleepyhead Wayfarer Mattress-Heat Tempered Truflex Coil System provides excellent performance while retaining great comfort.